These cars were built in 1949-50 by American Car & Foundry. 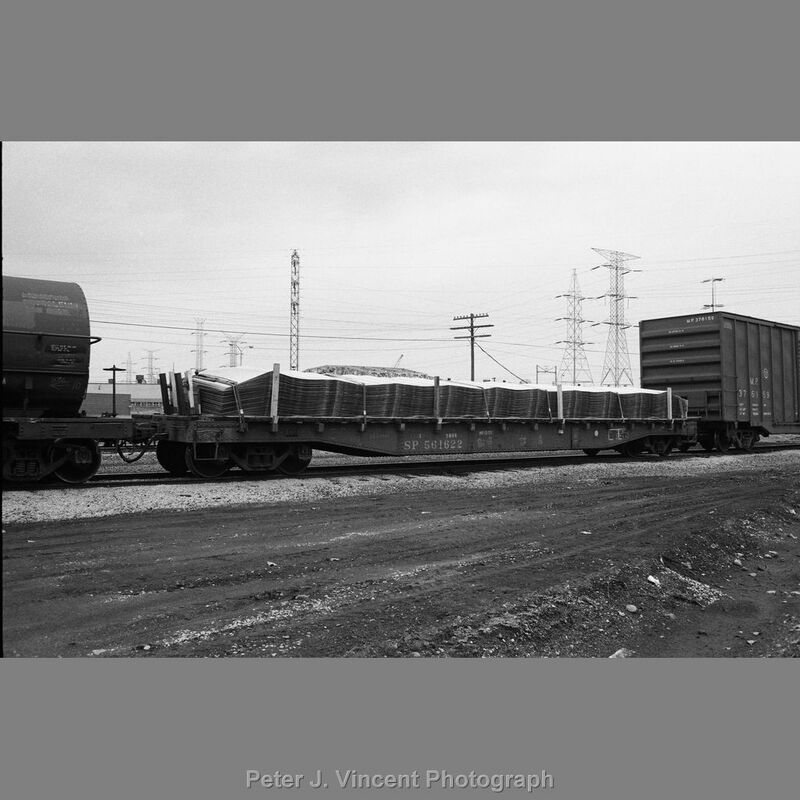 They featured a 53'-6" loading platform and were rivited in construction. 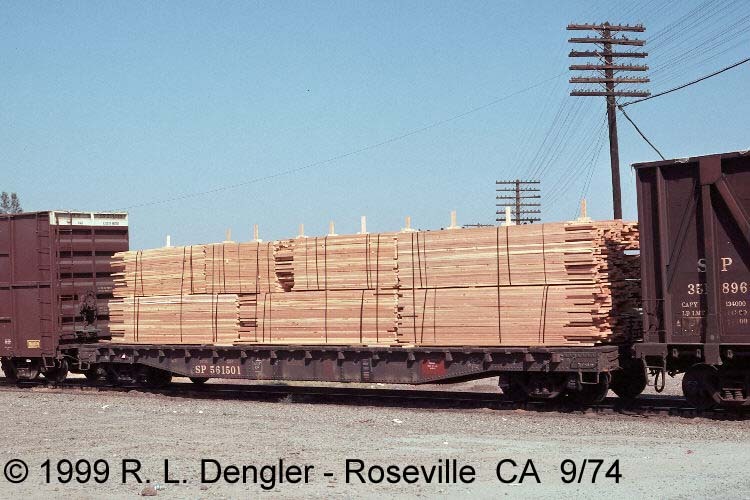 Many of these cars were converted to specialized service such as Flo-bin, Tote-bin and Coil Steel. 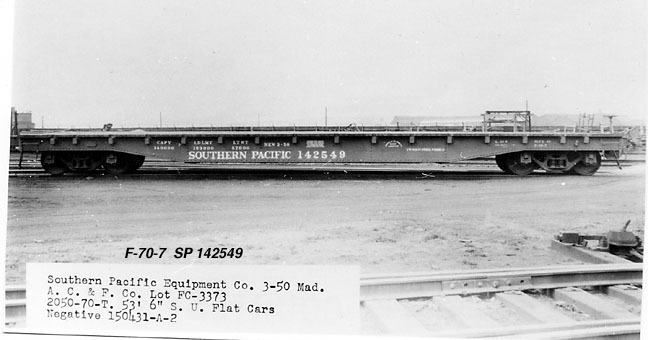 All of the cars were originally Pacific Lines cars with the T&NO cars being leased as above. 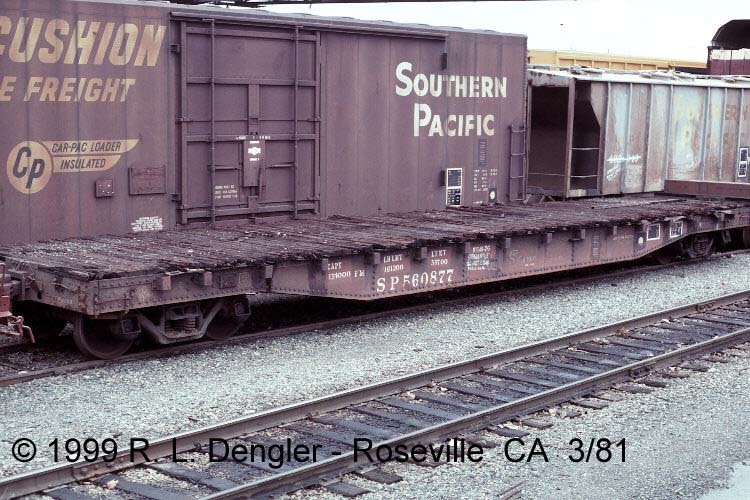 These cars were a very important part of the SP freight car roster through the 80's. 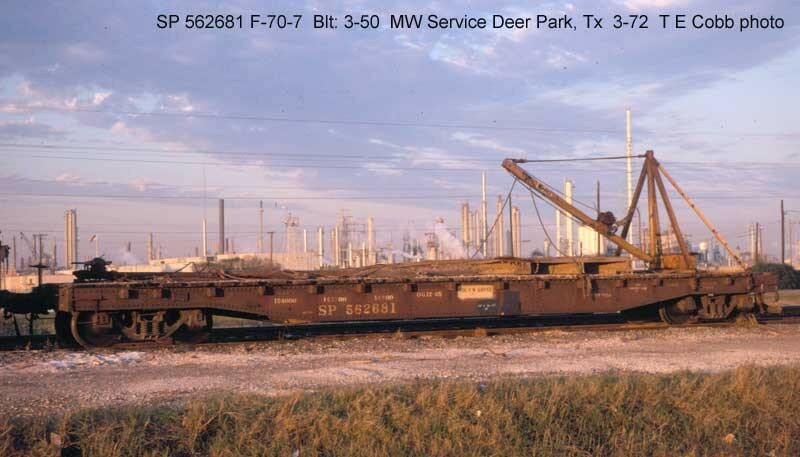 Many were placed into SPMW service as crane boom tenders, wheel flats, carrying Burro cranes and as part of welded rail trains. Red Caboose has produced an HO scale version of this very important piece of SP rolling stock. This car (decorated as a T&NO F-70-6) was offered as the convention car for the SPH&TS convention in Austin, TX in October of 2002. Special thanks to Bill Kelly, Tony Thompson and Tim O'Connor for much of the above info. A shrink table has been setup to track these cars (along with the F-70-6 cars) throughout their service lives. It does not include cars transferred to SPMW service. as well as the variation of stake pockets for these 1948-built cars. 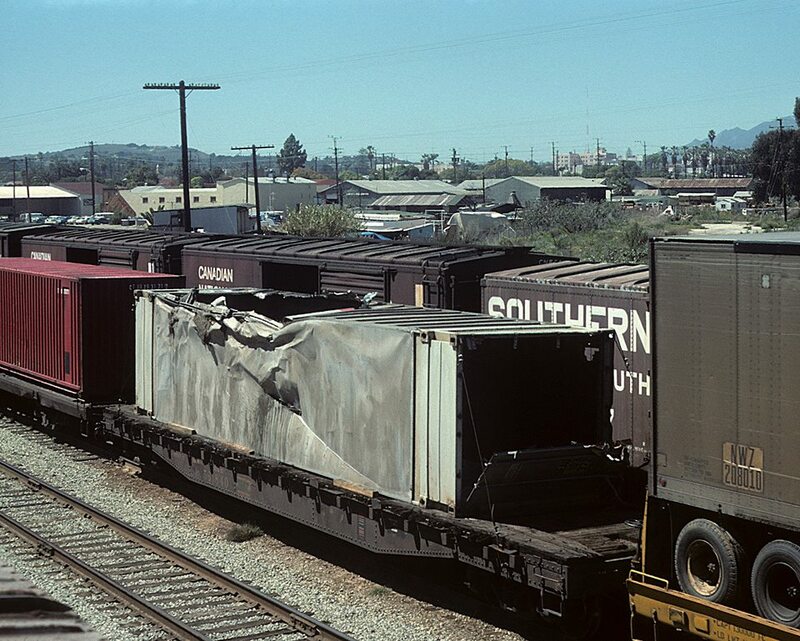 24550-24649 (100 cars), and C&EI 42000-42024.